In this page, you'll find examples of 5-day programmes built around key themes, to help you concoct the ideal holiday for your customers! Starting at Fourvière Esplanade, this tour will take you back through 2,000 years of history in Lyon. Visit the Roman theatres, and relive the foundation of Lugdunum in 43 BC. 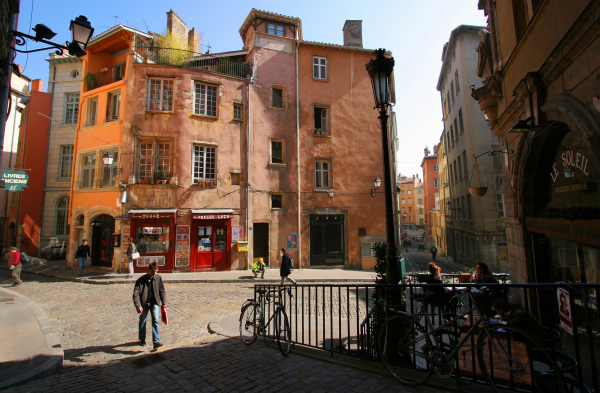 Cross the threshold of the Basilica of Notre Dame de Fourvière, an iconic monument in the city, and walk through the Rosary Gardens to the narrow Renaissance alleyways in Vieux-Lyon, where you'll get to see Saint Jean Cathedral and the district's famous traboules (passageways). Self-guided walk around the main squares and monuments in the city centre. From Place Bellecour, discover the Célestins Theatre, the Jacobins Fountain, Saint Nizier church and the monuments lining Place des Terreaux. The main trading arteries are ideal for a spot of shopping. The Musée des Beaux-Arts in Lyon is sometimes referred to as "Le Petit Louvre" and is one of the most prestigious museums in France for the great variety of its collections, taking you from Antiquity to the 20th century. In a 17th century former convent, you'll get to see sculptures and works of art, and admire the works of the great masters, from Poussin to Picasso and from Rubens to Gauguin. It was in Lyon in 1895 that the Lumière brothers invented new photographic processes and files the patent for the cinematograph. Cinema was born! Their family home has become the Lumière Museum which tells the story of the Cinématographe invention. Make the most of the morning's activity to discover the temple of gastronomy: cheeses, cold meats, wines, sweets and desserts will take you to the heart of Lyon's culinary tradition. Fifty carefully selected producers, all contributing to Lyon's reputation as the "World Capital of Gastronomy"! A session tasting specialities from Lyon can be organised in Les Halles named after the great Paul Bocuse. Walk in the footsteps of Lyon's former silk workers (known as the Canuts), and scour the traboules in the Croix-Rousse district as you discover the history of silk in Lyon. From the district's urban development during the 19th century to the invention of the Jacquard weaving loom, relive the times when 30,000 weavers were to be heard working on their weaving looms throughout the city, and admire their unique know-how. In the heart of the Croix-Rousse district, discover the Village des Créateurs (Designers' Village) in Passage Thiaffait, where Lyon's young designers are busy maintaining the city's creativity and textile tradition. This hub of innovation on the lower slopes of the Croix-Rousse district offers visitors a unique and trendy shopping experience. Make for the Presqu’île to discover the Musée des Tissus et Arts Décoratifs. 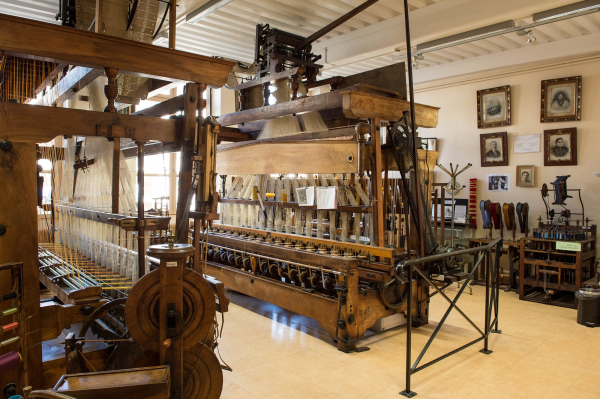 The museum's collections, which were assembled as early as the 19th century to showcase the great skills of silk workers in Lyon and inspire the Canuts, bear witness to the history of fabric and the heyday of silk in Lyon. Tête d’Or Park, created in 1857, is the heart and soul of Lyon. With its botanical garden, huge greenhouses, lake, zoo and rose garden, it is the ideal place for the locals to enjoy a Sunday walk. The contemporary district of Cité Internationale, located between the park and the Rhône, was created by the architect Renzo Piano between 1992 and 2006. Discover the history of this former industrial district, which has since been turned into an eco-district and a district where ideas about the cities of the future are tried out. Walk along the banks of the Saône, and admire the old and now renovated buildings in Port Rambaud built by some of the greatest international architects (Jean Nouvel, Herzog and de Meuron, and Christian de Portzamparc, etc.). You're sure to be surprised by the shapes, materials and colours of these contemporary buildings. Built by the Austrian agency Coop Himmelb(l)au, and inaugurated in 2014, the four permanent exhibition halls in the Musée des Confluences will take you on a voyage through the history of Mankind. In this futuristic building, travel back to the time of the dinosaurs, learn all about the different species, and go to the heart of human inventions and beliefs. Lyon is a city characterised by its two rivers, which is why the city has now chosen to make the banks of the Saône and the banks of the Rhône accessible to the public. Take a walk or ride a bike along the safe and specially adapted riverside routes to see the city and its monuments from a different perspective. From its foundation, to the architecture, daily life, anecdotes and restaurants in this market town, you'll get to discover all the secrets of this medieval gem which has survived centuries of history, and now ranks among the "Plus Beaux Villages de France" (Loveliest Villages in France). You may want to round off your tour with a piece of Tarte au Sucre (sugar pie), which is Pérouges’ speciality. This lofty and fortified medieval village ranks among the Loveliest Villages in France, and offers its visitors a timeless quality. Its narrow medieval streets, its listed historical monuments, and its artisans all contribute to Oingt's charm. Drive through villages with highly evocative names: Chiroubles, Fleurie, Morgon, etc. This cultural site is the ideal place to get to grips with the entire winemaking process, and discover the history of the Beaujolais area. Here you can discover the wealth of the region's terroir, and taste local wines. As a certified City of Art & History, Vienne welcomes visitors. Make the most of this tour to discover the town's main monuments and historical buildings. By the end of your visit, you'll know all there is to know about the Temple of Augustus and Livia, Saint Maurice Cathedral, and the Roman theatres. LA PYRAMIDE, Chef Patrick Henriroux: historic restaurant with a 2-star rating in the Michelin Guide since 1992. ESPACE PH3: Patrick Henriroux's second restaurant, with its warm and friendly atmosphere. The archaeological site of Saint-Romain-en-Gal is one of the greatest ensembles to be devoted to Gallo-Roman civilisation in France. The museum is located at the heart of a 17-acre cultural park that brings this former residential area in Vienne back to life, with its spas, workshops, homes and trading stalls, all of which have been excavated since 1967. THE "LE CORBUSIER" SITE AND HIS "MAISON DE LA CULTURE"
Firminy boasts the largest collection in France of works by the architect Charles-Edouard Jeanneret, better known as Le Corbusier in France (a housing complex, stadium, church, swimming pool, and the Maison de la Culture, now listed as a UNESCO World Heritage site), making this the largest Le Corbusier site in Europe. This tour takes you around the housing complex and its show apartment, as well as the Saint Pierres church, and explains the architecture and symbolism of this sacred building. FROM THE MANUFACTURE D'ARMES DE SAINT-ETIENNE (WEAPONS FACTORY) TO THE "CITE DU DESIGN"
The Cité du Design is located on the site of the weapons factory and is a symbolic landmark of the city's heritage. See the Place d'Armes, the hanging gardens, the La Platine restaurant and its greenhouse, the Higher School of Art and Design and the Observatory Tower. Annecy: LEISURELY TOUR OF THE "VENICE OF THE ALPS"
THE UNMISSABLE TOUR OF OLD ANNECY OR "VIEIL ANNECY"
Stoll along the canals, and relive Annecy's history, from feudal times to the history of the Counts of Savoy, and discover the Palais de l’Isle, an iconic monument in the old city centre. Discover a historic monument with the museum and its temporary exhibitions in the exceptional setting of the former residence of the Counts of Geneva and the Dukes of Geneva and Nemours. This château, built between the 11th and 19th centuries, and inhabited by the same family since the 11th century, still has its beautiful furniture and period decorative features. From the centre of Chamonix, take the cable car to the Aiguille du Midi to admire the view of the Mont Blanc peak at an altitude of 3,842 m.
Take the small rack railway train from the centre of Chamonix all the way to the Mer de glace glacier and ice cave. There are a number of skiing resorts within close proximity. Discover Chambéry: visit the historic city centre, on foot or on board the little tourist train, and the Château of the Dukes of Savoy. Discover Aix-les-Bains and Lake Bourget: visit the Royal Abbey of Hautecombe, and enjoy a health-restoring break in a spa. Discover Clermont-Ferrand: the historic centre of Montferrand, the gothic cathedral of Notre-Dame-de-l’Assomption, the Romanesque basilica of Notre-Dame-du-Port, and the Musée de l’Aventure Michelin (devoted to the Michelin group). Visit the town to discover its Belle Époque and Art Nouveau heritage. Take a stroll along the shore of Lake Allier. Enjoy a health-restoring break in a spa, or discover the town's local products: Vichy water, pastilles and cosmetics.